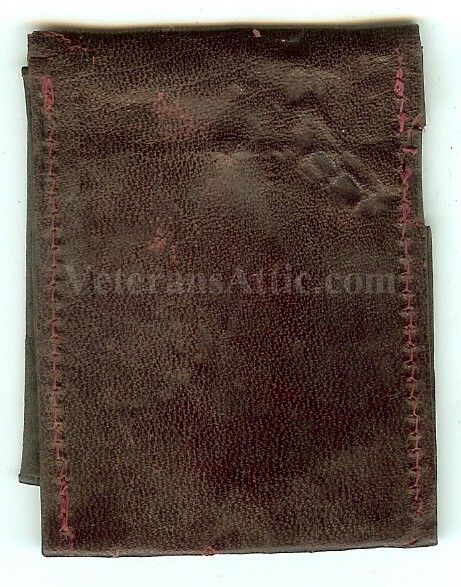 A wonder and extremely hard to find leather match book cover given to veterans at the 1895 Chickamauga Military Park dedication by the Chattanooga Brewing Company. 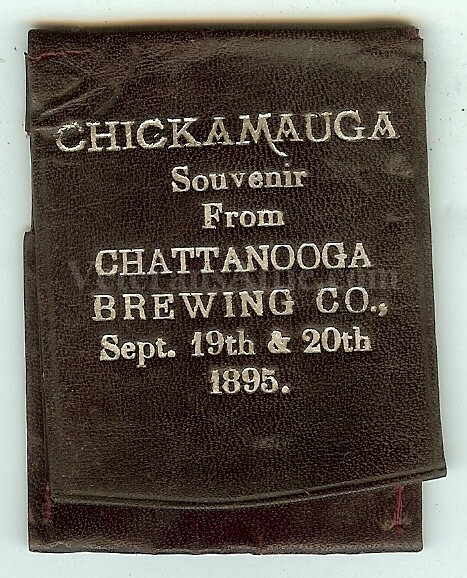 Written on the cover in gold ink is "Chickamauga - Souvenir from Chattanooga Brewing Co., Sept. 19th & 20th, 1895.". The cover is approximately 4 3/4 inches long and 2 inches wide when it is opened up. The cover is approximately 2 inches by 2 1/4 inches. Obviously the Chattanooga Brewing Company saw an opportunity to sell some of their products to the veterans visiting the Chickamauga Park dedication!